This generation of the Apple TV uses an A5 processor. The second gen model used an A4. 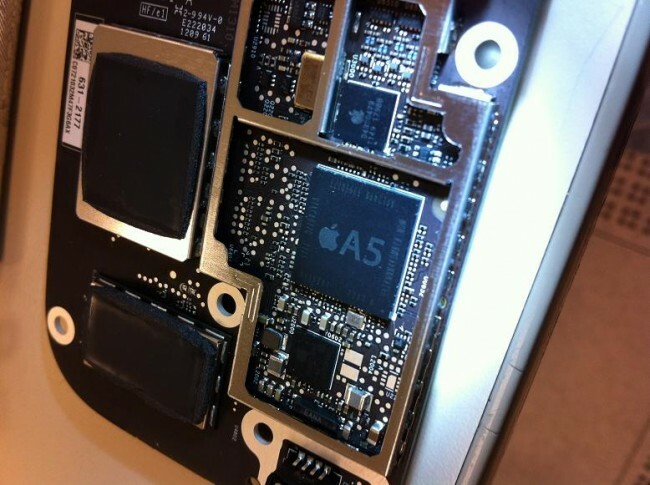 The A5 used in this device isn’t as powerful as the one found in the iPad and iPhone. When we say power, we mean it isn’t clocked as high. RAM has been updated with it now having 512MB. We assume this was needed to handle more data due to the 1080p resolution that was bumped up from 720p. The device still has 8GB RAM. WiFi appears to be upgraded as a second antenna was found. This is likely to be related to getting more signal so that it can handle streaming of 1080p content. More pictures can be found over at XBMC.